K. A. Last: Northern Bites by Nikki Jefford - It's Almost Here! Northern Bites by Nikki Jefford - It's Almost Here! Are you a book blogger who enjoys reading NA urban fantasy? Northern Bites ARCs are now available in pdf. 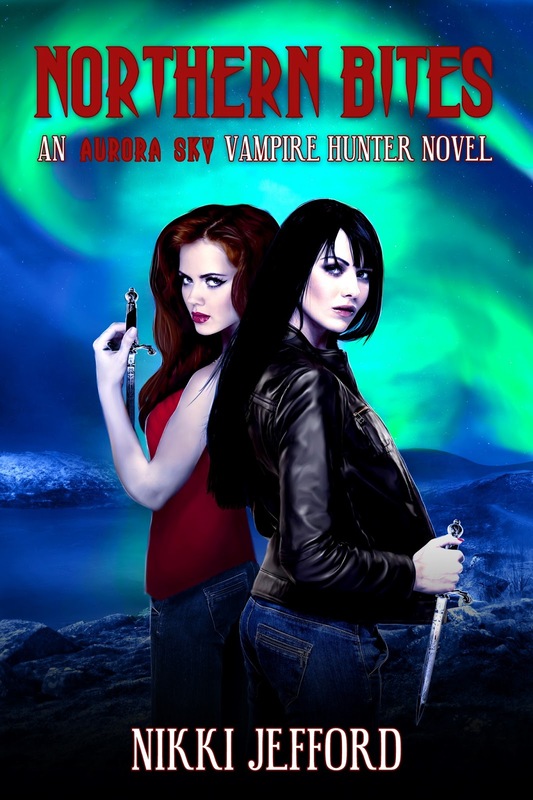 This is volume 2 of Nikki Jefford's Aurora Sky: Vampire Hunter series with a sci-fi twist set in Alaska. Sign-up HERE for an ARC of Northern Bites. It is not necessary to read Vol. 1 to understand what's happening in Vol. 2, but you are welcome to request a review copy of the first book, Aurora Sky: Vampire Hunter, Transfusion, at the end of the form. The book will be published July 30th. Dante is in full flirt mode. Fane’s tactics are far more ruthless. Something carnal has awakened in Aurora and neither boy is helping tame her cravings.